North Street CollectiveErin Elder Book Release! 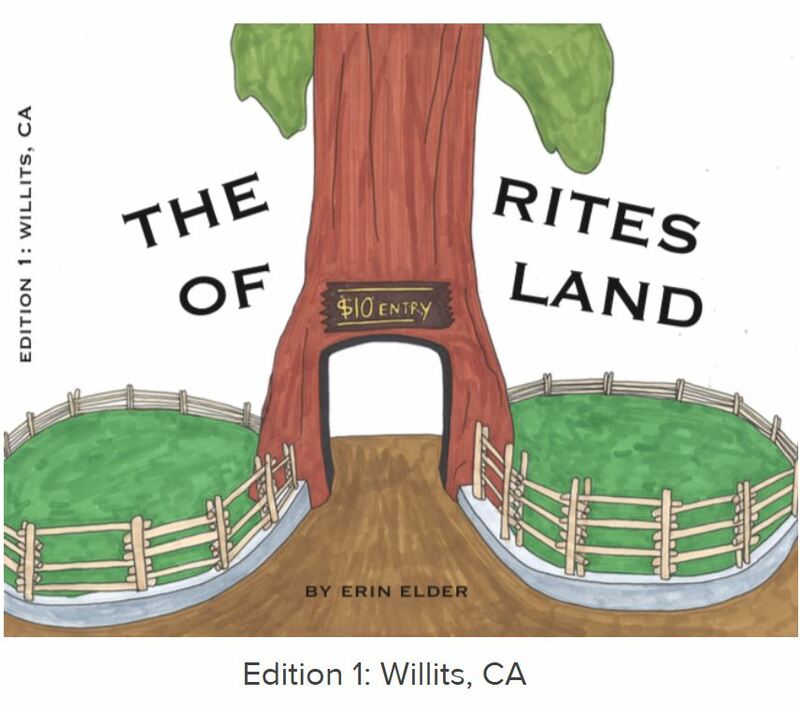 The Rites of Land is a research framework for creatively exploring distinct places. Through physical exploration, historic and contemporary research, expeditions, reflection, writing and drawing, this framework aims to establish a methodology for processing the experience of places as a newcomer and an outsider. It prioritizes a subjective personal encounters with what is foreign or unknown but seeks to relate the complexities surrounding those sites. Grounded by a deep concern for land and the systems that have harmed, protected or changed it, this practice aims to identify the stories, relics, symbols, sites, and visual signifiers that might evidence a region’s multi-layered beliefs about land and its use. By identifying these literal landmarks (or lack thereof) this collection of research pieces together compelling stories about, for and with each site. Though inherently incomplete, The Rites of Land is a personal gesture that confronts the mechanisms of ownership, and by extension, capitalism, colonialism, extraction and empire. It is an effort to cultivate empathy and belonging as part of a broader understanding of coexisting humanity. Compiled over time as a boxed set of small books, the project will become a primary resource of collected data that demonstrates an approach to place-based learning.